Ok, I admit to really liking chalkboard walls. 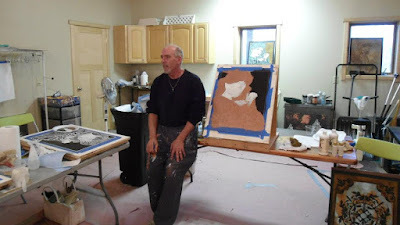 I think it is such an easy and great way to add interest to a room. And for someone like me who likes change, this is great because I can do anything I want on the chalkboard surface and with the swipe of a damp cloth, can change it in minutes. 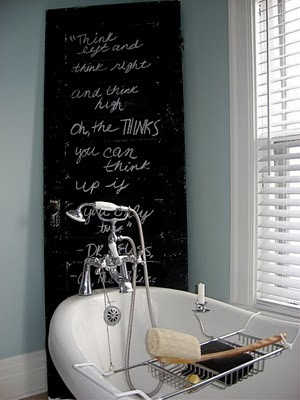 Chalkboard paint can be used in almost any setting and is a nice suggested add on for clients. 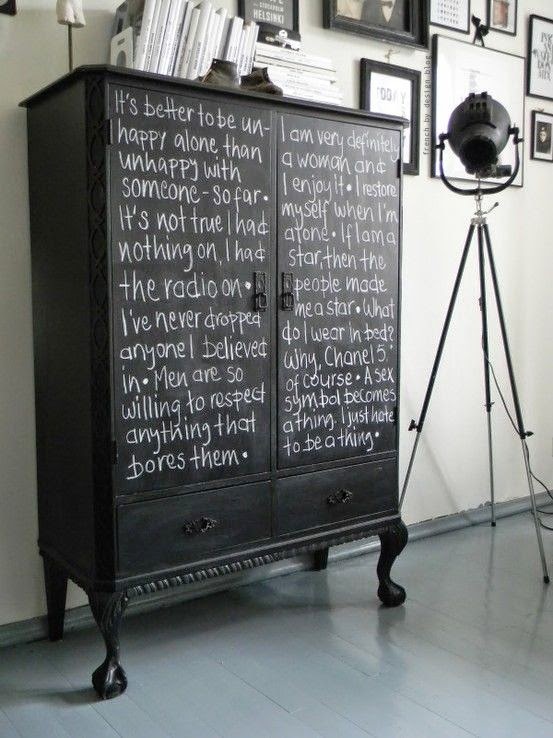 Some other ideas for places to use the chalkboard paint is cabinet doors, table tops, toilet seat covers, tv cabinets. You are not limited to black either. 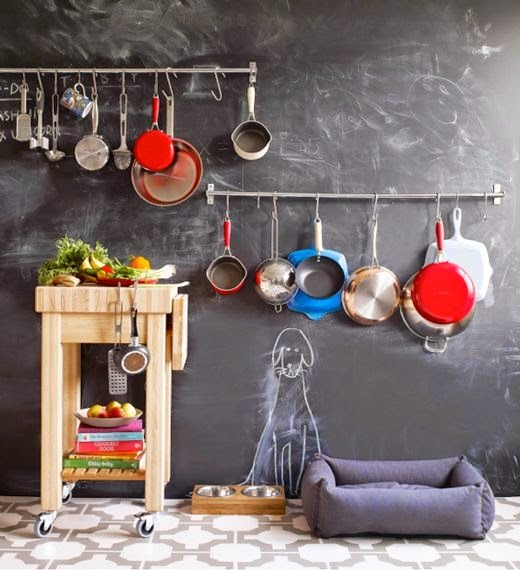 You can custom make your own chalkboard paint in any color you want. 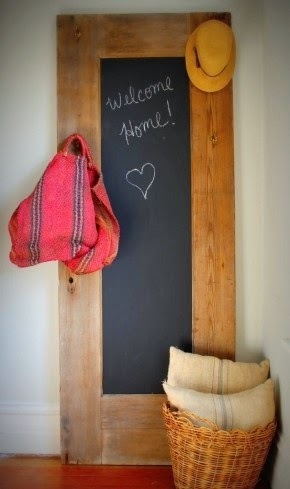 If you have done a project using chalkboard paint, post a picture on the Facebook fan page. Unless noted, most of these photos I found on Pinterest. 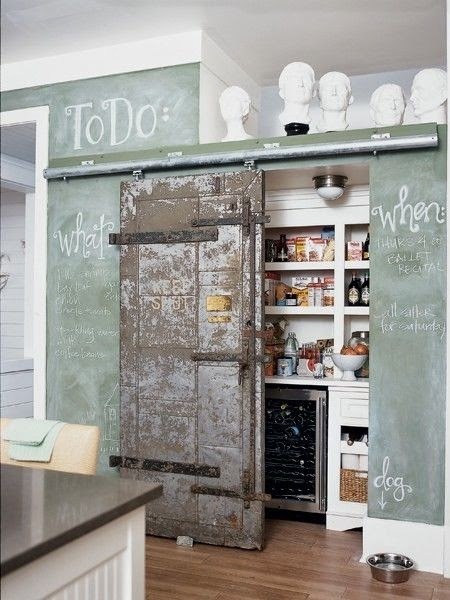 Love the versatility you'd get with the chalkboard paint. 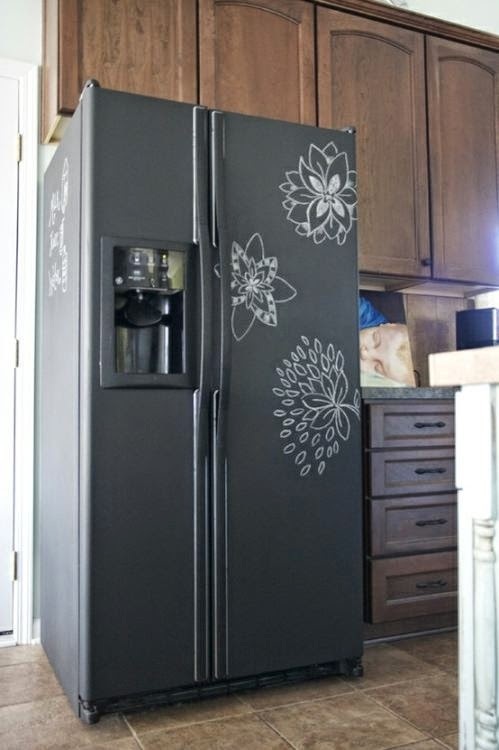 Thought the refrigerator door painted with it was great idea.